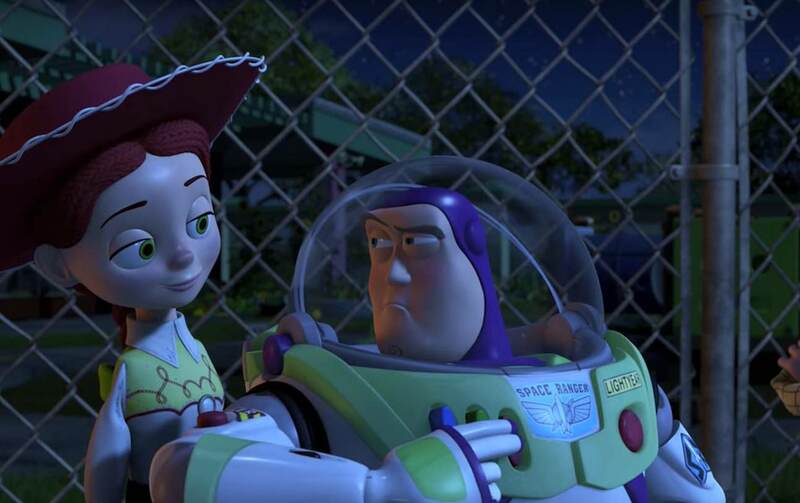 Disney has pretty much confirmed the fan theory by dropping an epic video on the official “Toy Story” Facebook page, revealing exactly how all the films are connected. For a studio that exclusively makes ‘kids’ films, the fan theories surrounding Pixar are remarkably intense. One, for example, proposed the idea that when we see a flashback of Jessie being abandoned in Toy Story 2 by an ungrateful teen – that it’s actually Andy’s mum who discarded the once-treasured toy. Another is far darker, and suggests that Toy Story 3 is actually about the holocaust, rather than being about the transition of owners for toys. Though we’re unlikely to find out if either of those are ever true – Pixar have settled one theory that’s been knocking about for years; that all the films are connected and exist within the same universe. In a new video posted to their Facebook, the studio have used stills from each film to showcase how carefully placed easter eggs link them all together. A few are small (a red moped links Ratatouille and Wall-E and a teddybear Toy Story 3 and Up), and some massive (the Pizza Planet van in A Bug’s Life is pretty obvious) but its that blink-and-you’ll-miss-it magic that makes Pixar still so successful to this day. That’s not the first time they’ve stuck subliminal messages in their films, though. If you look close enough in each film, you’ll see a reference to the phrase ‘A113’, the classroom in which founders Brad Bird and John Lasseter studied together in at the California Institute of the Arts. Smart ones, aren’t they?